In other words portable water well drilling rigs for sale,the improvement of automation degree greatly improve the work efficiency of hydraulic cone crusher.For the market is not enough for a cone crusher,product quality,performance and the advanced technology is also important factor.The present hydraulic cone crusher has multiple models,each model corresponding to the function is different,customers can according to the actual needs to choose products that can meet their requirements. 1. Equip it with buffer bin and frequency conversion feeding equipment. 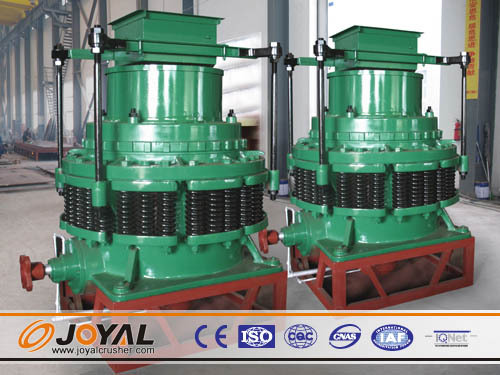 The multi-cylinder hydraulic cone crusher adopts the laminating crushing principle, which requires that the feeding should be even and abundant. So at the time of equipment installation and using it is important to note that the buffer bin is equipped before the equipment to ensure the continuous feeding of the cone crusher machine. 2. Install the center feeding device. The feeding and discharging of the multi-cylinder hydraulic cone is also the important factors that affect its crushing effect and service life. Equipment should be installed center feeding device, to ensure the feeding from center. 3. Install the iron removal equipment and non-return device for the belt conveyor. Belt conveyor is a feeding device for multi-cylinder hydraulic cone crusher, so the correct configuration of belt conveyor is also related to the good operation of the equipment.